Selce is located in a picturesque cove next to Crikvenica, on one of the most diverse parts of the Adriatic coast. This seaside resort, once a village of fishermen and stonemasons, today makes an interesting holiday destination with a tradition of tourism reaching back more than a century. Selce has won many awards for the excellence of its tourism offer and the overall appearance of the town. It has also won the title of best holiday resort on Kvarner four times. 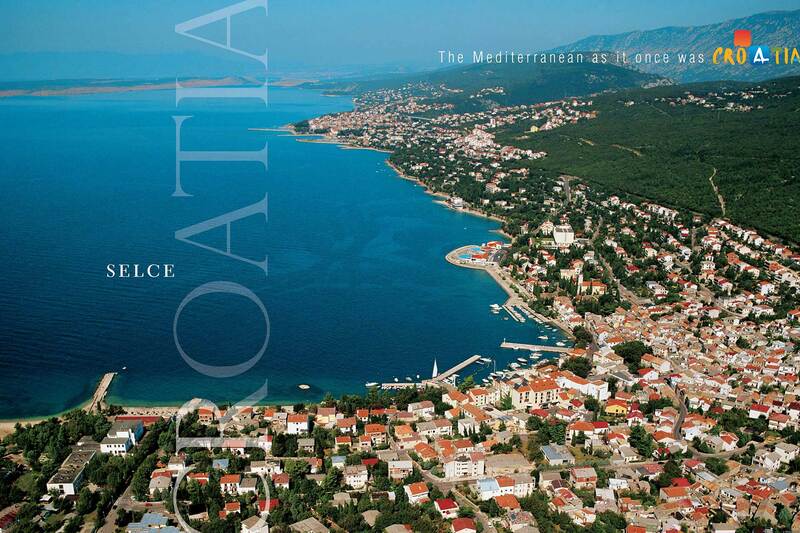 In addition, it came second twice and first once (in 2002) in the “Blue Flower” campaign organised by the Croatian National Tourist Board for the best holiday resort on the Adriatic. Selce is a perfect place for pleasant summer holidays, with well-tended Blue Flag beaches, a wonderfully clean sea, a seaside promenade, and many cultural, entertainment and sporting events (folklore, concerts, painting exhibitions, fish festivals on the waterfront, sport-fishing for visitors, sailing regattas and much more). The town also has a diving centre with diving school and various water sport facilities. Selce can accommodate several thousand visitors in private homes and hotels, holiday villas and two campsites set amidst the area’s beautiful natural scenery and crystal clear sea.